Here I am with January almost gone and this is my first Stash Report of the year. 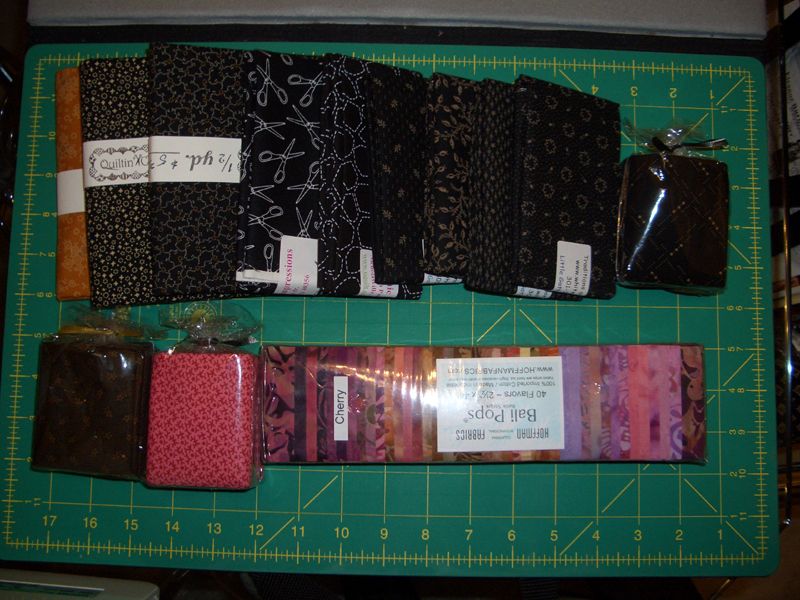 With a Trip to Road to California Quilt Show and a workshop this month at Memory Lane Quilt Shop with Bonnie Hunter, I did my fair share of shopping. Purchased some blacks, a cheddar, more pinks and browns for the Dear Jane Quilt, and another great Bali Pop at Road- this one is called Cherry. Sandi and I also picked up some additional batik fat quarters for Scrappy Layered Log Cabin class at Road. I am also happy that I get to report a finish! 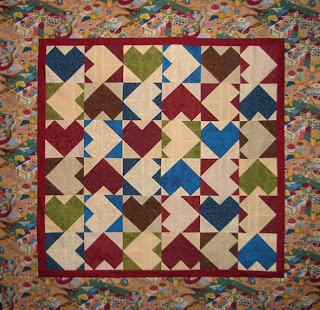 Below is the Lakeside Mystery class that I took at Road, the pattern is called Candy Hearts by Tracey Brookshier. It was a fun evening and I actually was able to finish all the blocks. I added a couple of borders and used up the remaining fabric for the backing. 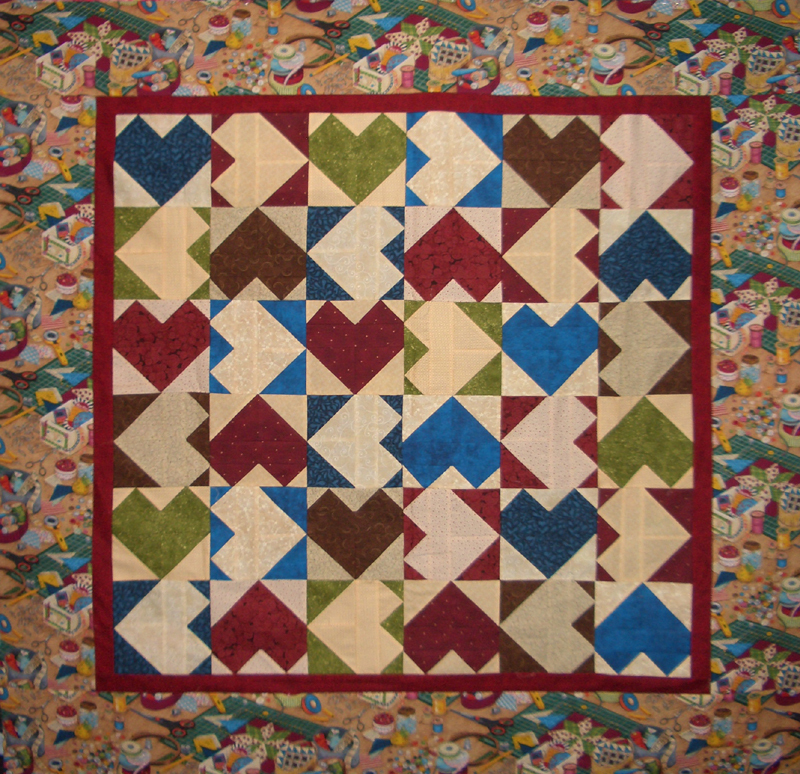 This one is ready to go in the quilting que! So here are the numbers for this month, still in the negative, but hope to finish a couple of more projects soon. Your Lakeside Mystery turned out great! How big is the quilt?